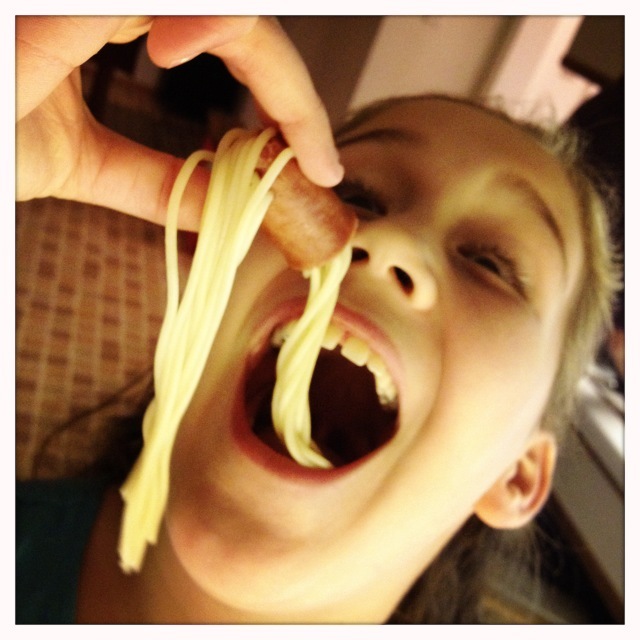 I made these noodles monsters for my niece and nephew, and they liked them so much that they helped make a second round of them. 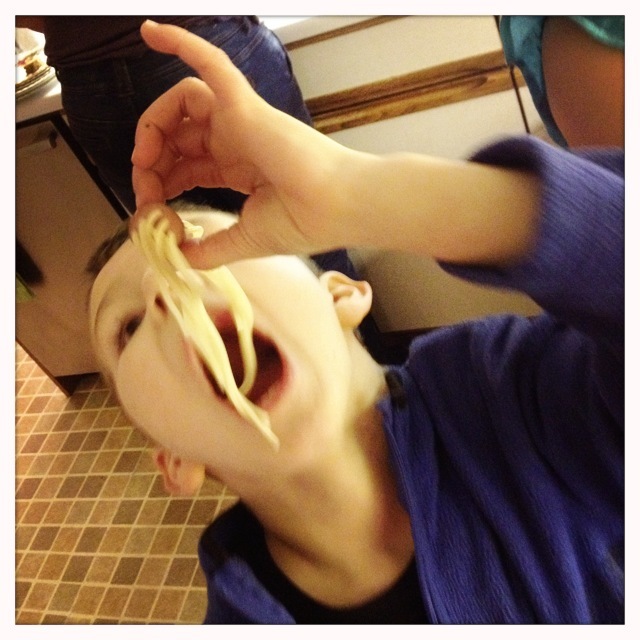 The kinds’ noodle placement is way more creative than mine was, as is usually the way with kid’s art. wieners – veggie if you like them! 1. 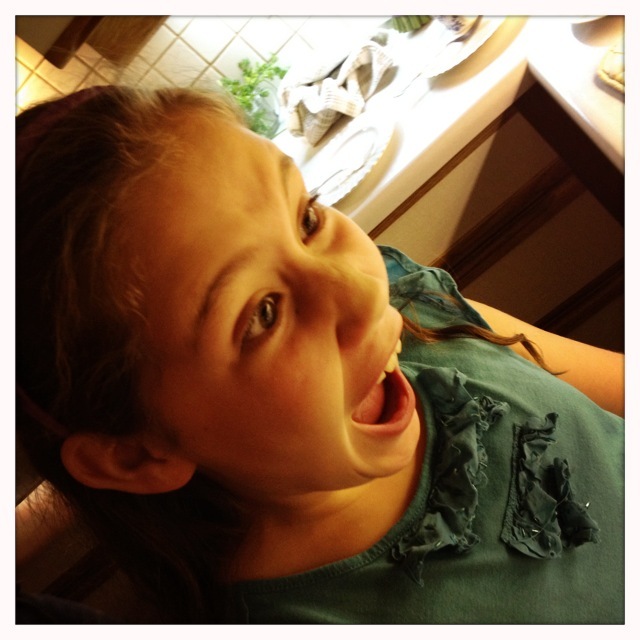 Boil a big pot of water. 2. 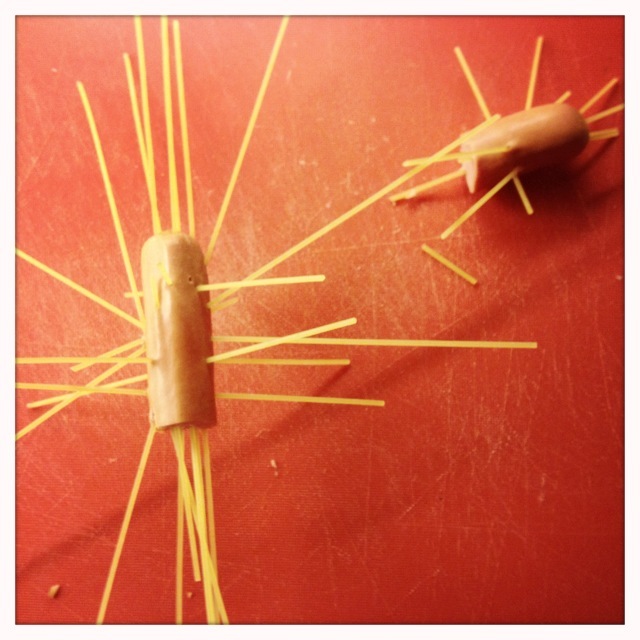 Poke the spaghetti through the wieners – be creative! 3. 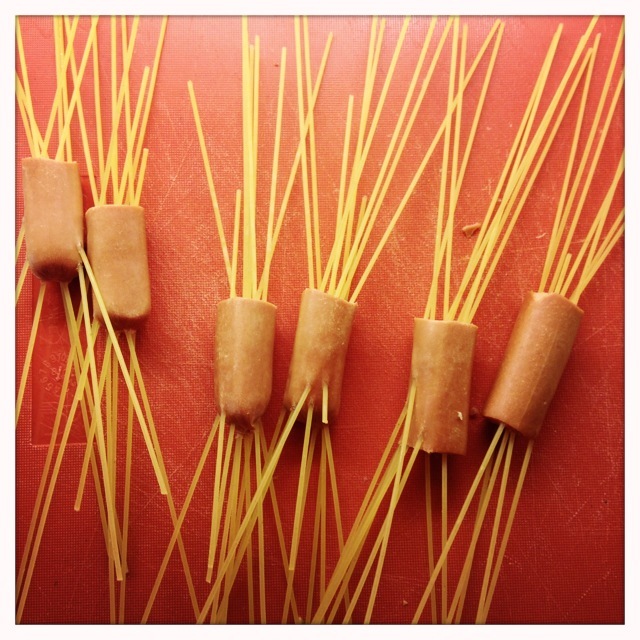 Throw the spaghetti/wieners into the boiling water and cook until the noodles are soft. 4. 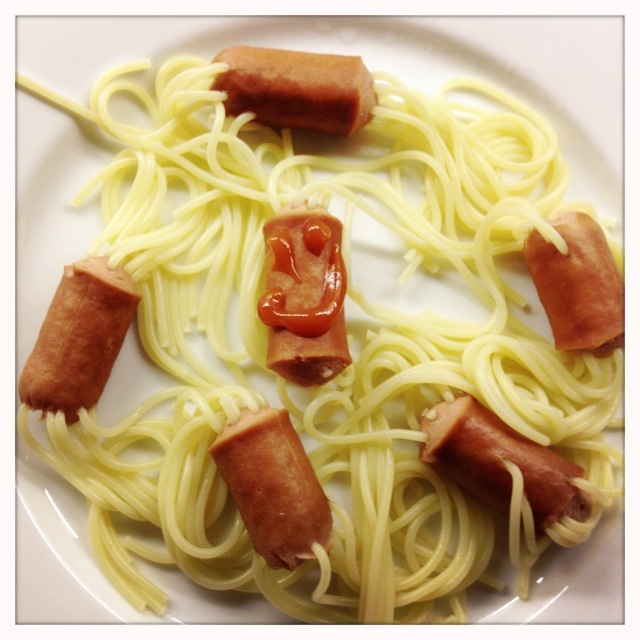 Drain the spaghetti/wieners, then use ketchup and mustard to make faces on the wieners.